"Live Bait - Light Tackle Sailfishing is our Specialty"
CALL us to book a trip (305-304-4422) for the light tackle experience of a lifetime. This season has bought more multi fish hookups than usual. We have lots of good dates still open. CALL us, take the time to enjoy one of life's finer moments. 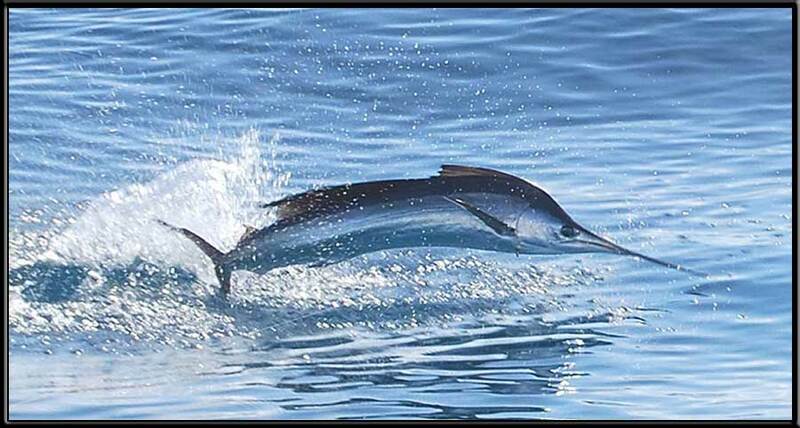 Many of our customers have never been out for sailfish before in their lives and are catching them on their first trip. So can you! I usually take a pictures on our charters and share them with our customers at no charge. You may well find your pictures on this site or on www.floridakeysfishing.com . 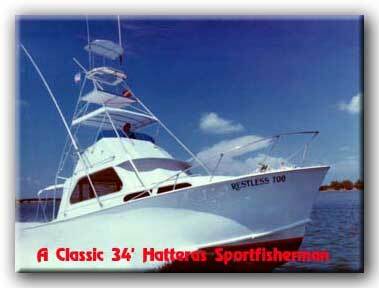 "Reasonable rates and a friendly professional crew on a classic 1964 Hatteras Sportfisherman." Remember....."Good Things Come To Those Who Bait"
Sailfish abound in the Atlantic water off the Florida Keys from sometime in September until about May. We specialize in catching these fish on live bait using light spinning tackle. 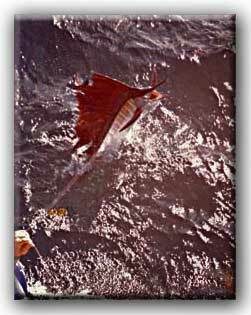 Captain Robert Mathias has been fishing the Restless Too for Sailfish for over thirty four years. Live bait has proven to be the most productive, exciting method for catching these magnificent billfish in the Florida Keys. Most of the time you will actually see the Sailfish before it eats the bait. Often we do sight fishing which is looking for sailfish swimming in shallow water and chasing bait showers. 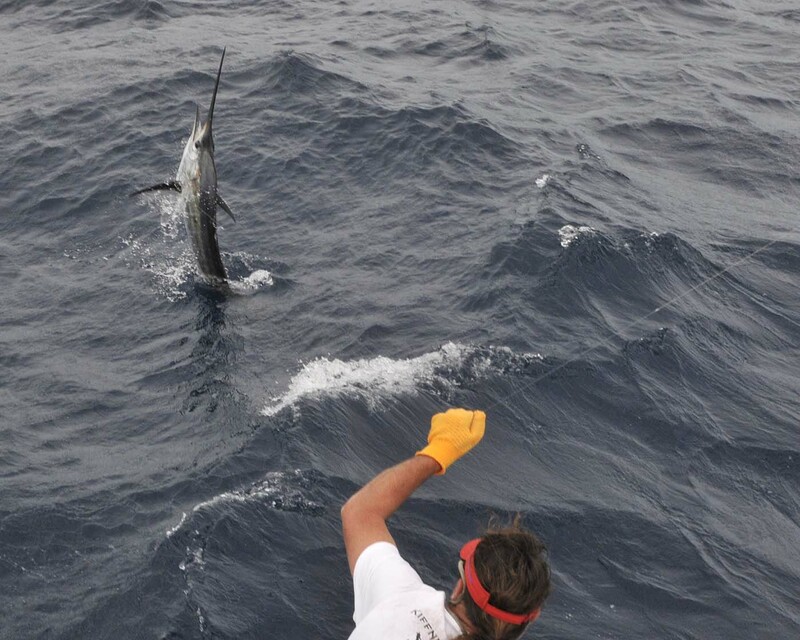 When the sailfish are spotted we cast a live bait at them! This is the most exciting method of sailfishing you will ever experience! Often the fish will be only a few feet away from the boat and you will see the sail go up and see it chasing the bait before it actually catches it! These fish are lit up in colors that you have to see to believe. We use 12 to 20 pound spinning tackle so it isn't strength, but technique that's involved. Even children can handle this tackle. We have guided many folks to catch their very first billfish, often on the first charter they have ever been on. The goal is to have a good time and teach you what you need to know to hook and catch your own sailfish. Our seasoned crew will explain exactly what you need to do catch these beautiful fish. It is an experience that you will never forget! To book a charter call 305-304-4422 or email the Captain. Our rates are some of the most reasonable and the Restless Too, a classic 34' Hatteras built in 1964 and refitted in 2005, is as seaworthy a vessel as they come. She is powered by twin John Deere diesels that do not produce any harsh diesel fumes. We are now burning biodiesel fuel which has as a very slight odor like you might smell down wind of a McDonalds! We welcome any questions you might have. We have many dates open for charters in Islamorada. We are presently docked at the famous Whale Harbor Marina, MM 83.5 in beautiful Islamorada, Florida, Sportfishing capital of the world! Captain Robert A. Mathias, Jr.